On our trip to the east coast, we spend three great days in Virginia Beach. My husband loves the beach, so we hoped the weather would cooperate enough for us to get a little time out by the ocean. We did, but we did so much more on our trip, too. You know by now I’m not into just sitting on the beach doing nothing. It’s just not fun and I am not a swimmer of the open water unless I’m in a group going snorkeling. 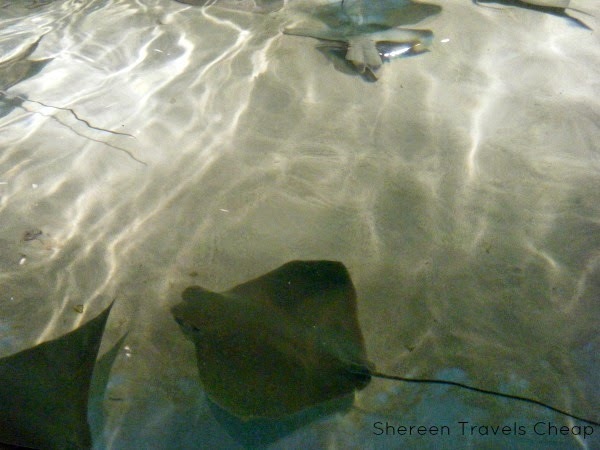 So, besides the beach, here are some of the must-do things we did. 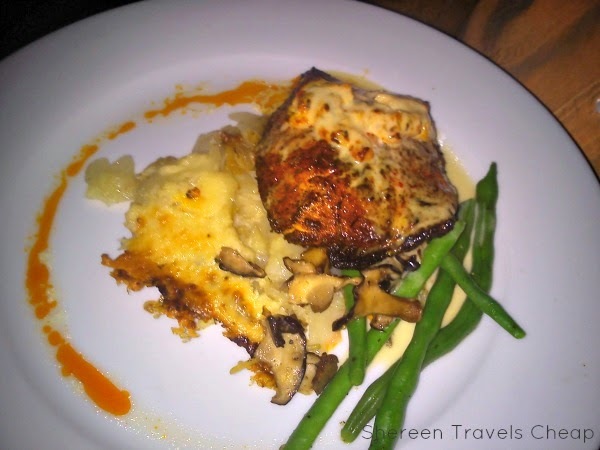 Can you visit the beach without indulging in a little bit of seafood? I sure can’t, especially when everything comes with hushpuppies. Yum, yum, yum! Surprisingly, Virginia Beach has, like, every chair restaurant you’ve ever heard of. Skip those and head to some local favorites instead. 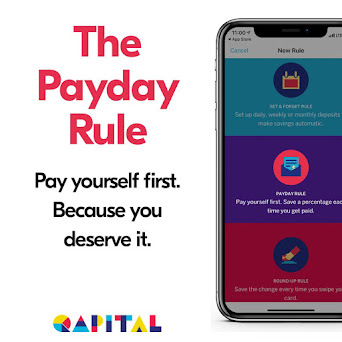 You’ll end up spending the same amount. Waterman’s is right on the boardwalk, so you can see the beach and people watch while also enjoying fresh caught fish. It may look super fancy, but there is no dress code at Lynnhaven Fish House. It’s also right on the beach and is worth the splurge. We split an entrée and were still stuffed when we left. If you would rather your fish be raw, there are plenty of sushi restaurants to choose from. To really get your money’s worth, I suggest heading away from the water and going to Yukai Japanese Buffet. For $15, you get unlimited access to their huge buffet, hot foods and hibachi grill. The only thing I would not recommend are the desserts. I was disappointed with them all. If you keep your eye out, you might find a Groupon for this and pay half price for admission. There are actually two lighthouses here, and old one and a new one. The old one is the one you will tour. 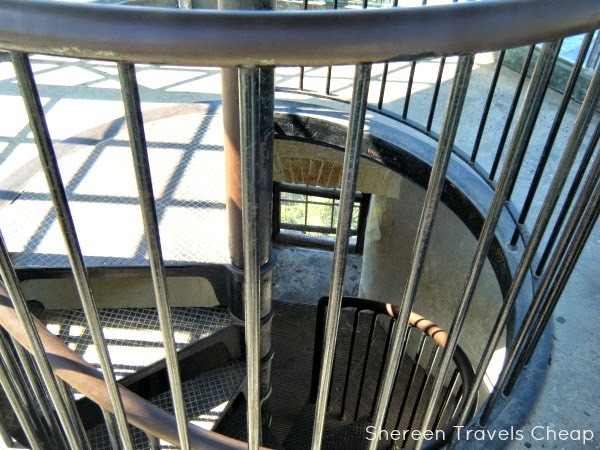 It has a lot of steps to climb, so bring your walking shoes. It’s also on the Army base, which means you’ll need picture I.D. for everyone, so they can check you out and know who’s on the premises. 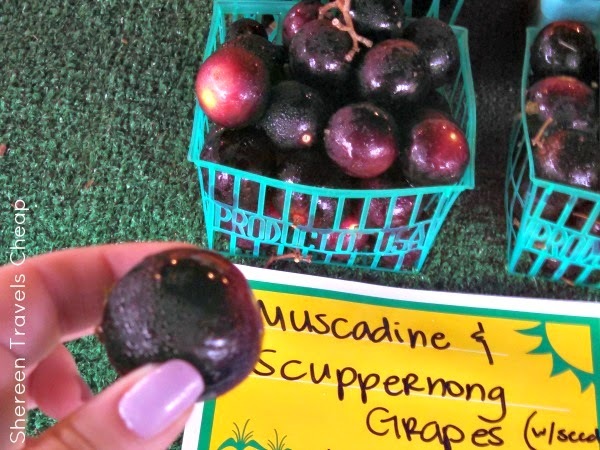 You’ll find some really cool foods at the farmers market, including pickled okra, fancy jams and the biggest grapes you’ve ever seen. We stopped at the bakery there and got a loaf of pepperoni bread! This is where you want to go to load up on things for breakfasts and snacks. Not only will you come face to face with fish and turtles and a giant crocodile, but you’ll learn how ocean currents, waves and other stuff work. Get there when they open, so you have all day to explore, because there are more animals and exhibits than you think. I’m totally into the whole dinner and a movie thing. 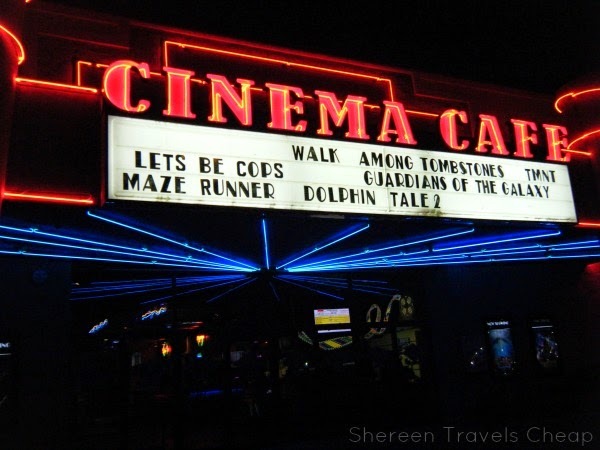 Well, Virginia Beach is home to a second run theater chain called Cinema Café. You can see the movies you missed at the regular theater and get some surprisingly delicious food. You’ll have your own table and sit in office chairs, which I thought was funny, but they were comfortable. You can’t leave the beach without having strolled the boardwalk. We did just that, but with ice creams. Win! If we had more than three days, we probably would have done quite a bit more. Three days is perfect for relaxing and taking your time really seeing the places you go. We definitely didn’t rush, except to get to the movies. 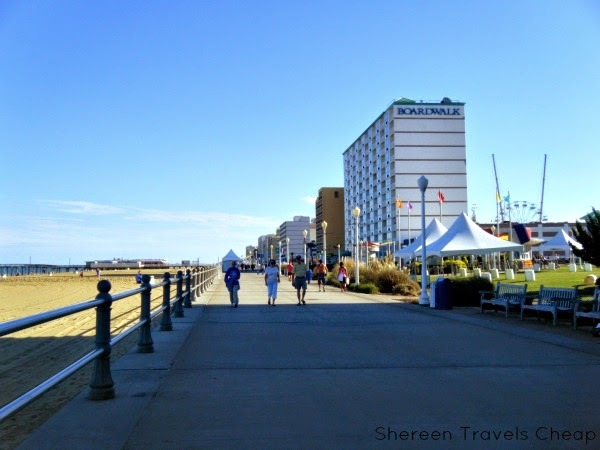 Have you been to Virginia Beach?